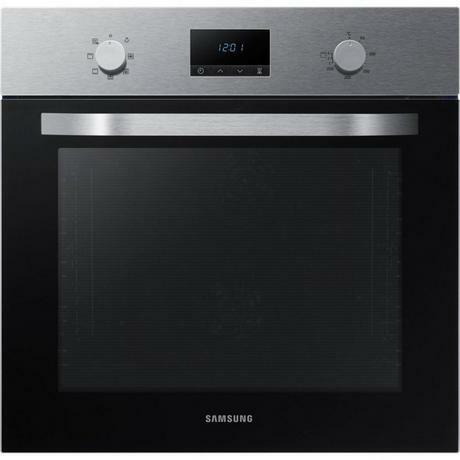 Cooking has never been so simple with the help of Samsung’s NV70K1340BS single oven. The LED digital display and programmable timer will make preparing your Sunday roasts a breeze. And, the stylish stainless steel finish makes it a perfect fit for any home. 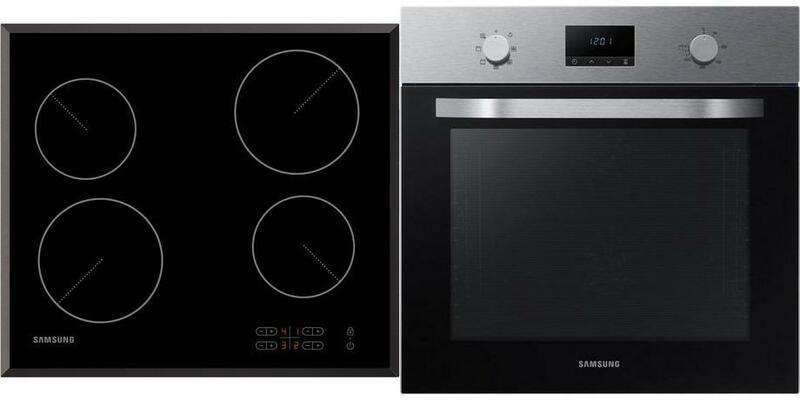 Cook everything to perfection with this Samsung dual fan oven. The fans spin in opposite directions to make sure the heat reaches every corner of the oven, heating your food evenly. Keep the NV70K1340BS sparkling clean with the help of Samsung’s catalytic cleaning system. Situated at the back of the oven, the catalytic cleaning liner absorbs every bit of grease and grime that builds up as you cook. This helps to eliminate messes at high temperatures, and stops the usual scrape and struggle – just wipe away any stains or marks with ease. The triple glazed glass door can also be removed for that extra bit of polish. 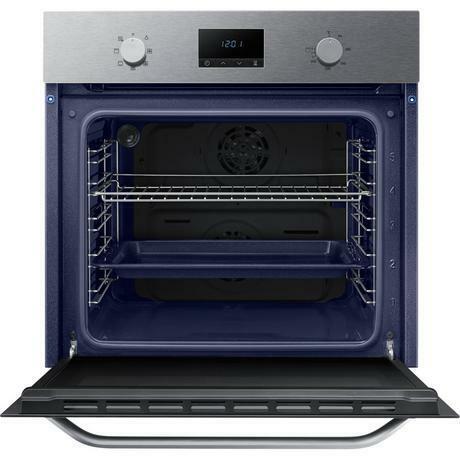 The 70 L net capacity and five shelves in this Samsung electric oven provide plenty of space for your new culinary adventures - so you can impress your friends and family at parties and gatherings. Included, you’ll also find a tray and wire rack accessories that match perfectly with the internal grill – putting a crisp on your latest creations. 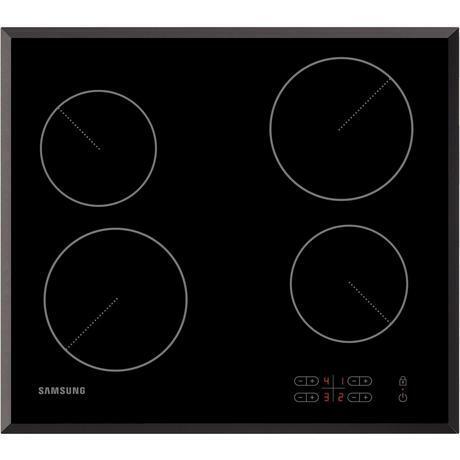 With the addition of five functions, including convection and large grill, the Samsung NV70K1340BS can cook countless dishes. And, thanks to the oven’s bulb light, you can make sure every dish gets the attention it deserves. Worried about the energy cost? Don’t be – the ‘A’ rated energy usage guarantees an efficient and easy cook-up.